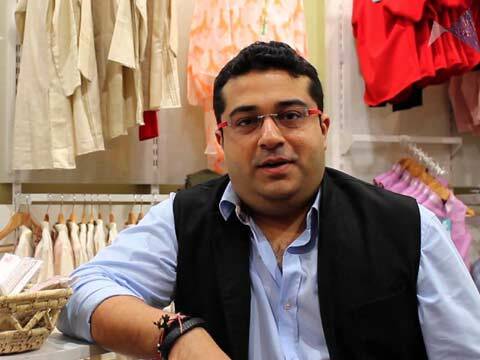 A number of designer labels and domestic brands are changing the landscape of kidswear segment, says Ankur Mittal, Co- Founder Kidology - the one-stop destination for kids' occasion wear apparel. In India's children's wear market is estimated by consultancy firm Technopak at $8.3 billion in 2013. Further this segment is expected to contribute to 22 per cent of the country's apparel market by 2023. While the market is gradually moving towards being organized, a number of designer labels and domestic brands are changing the landscape of kidswear segment, says Ankur Mittal, Co- Founder Kidology – the one-stop destination for kids’ occasion wear apparel. How has kids fashion industry evolved over the years? What factors are responcible for this change? Until recently, unorganized retailers dominated the kids fashion industry in India. However now things are changing with the creation of domestic kids’ brands as well as the influx of international players. Kidology has been referred to as a pioneer in the kids fashion occasion wear segment. Before us no brand had really experimented with designer and / or occasion wear for kids in retail. Today things have come a long way as consumers are aware of the options and have a higher willingness to spend on kids’ apparel too. Platforms such as India Kids Fashion Week where Kidology has participated both as a brand and in an advisory capacity, which didn’t exist when we started, demonstrate the direction in which kids’ apparel segment is heading. In terms of product – we introduced a unique concept for kids, which focused on design, comfort and convenience. What factors are driving this market? Consumers have evolved as well. They are more discerning and have more awareness about options. This paired with higher disposable income and increased willingness to spend on their kids to give them the very best is what is driving growth in this market. Today, in addition to shopping from brick and mortar stores, there is tremendous growth in online shopping. What made you venture into kids’ wear segment? Kidology was conceptualized in 2010 as a one-stop destination for kids’ occasion wear apparel to fill the a void in the kids’ apparel market and the need to organize the industry. We decided to develop an Indian fashion brand for kids that would appeal to the growing segment of discerning consumers in India and abroad. Our collection includes Indian, western and fusion inspired garments and accessories for girls and boys from newborn to pre-teens. In addition to our in-house collection, key Indian designers including Gauri &Nainika, Gaurav Gupta, Siddhartha Tytler and Malini Ramani were approached to design exclusive kids’ collections that would be manufactured and distributed under the Kidology label. Within India, Kidology is sold from multi-designer stores including Mumbai, Hyderabad, Chennai, Ludhiana and Kolkatta. Kidology also retails through its own website www.kidology.in and a number of online stores. Internationally Kidology has a presence in multi-designer stores in Dubai, Singapore, Sydney, London and New York. What is the scope for Indian brands when even the global players have ventured into this segment? The kids wear market is still in its nascent stage; the organized branded sector though growing fast currently yet constitutes only a small part of the overall kids wear market. There is plenty of room for growth and room for new entrants including International brands, which have been setting up shops in India. The fashion apparel market can be segmented into Contemporary brands (Mothercare, UCB, Tommy Kids), Prestige / Bridge-to luxury (Kidology) and Luxury (Burberry kids, Armani Junior, Fendi kids, Gucci kids etc.). Kidology caters to a niche segment in this rapidly growing industry – we have carved a unique position and product proposition. What is your take on brands entering kids segment which was initially dominated by unorganised players? As I mentioned there is plenty of room in this market – the kids wear industry alone is estimated to be close to Rs 3,000 crores in India. Add to this the huge opportunity that comes from the affluent NRI diaspora across the world - and all of a sudden the size of the pie grows by at least another 50%, probably more. Kidology is poised to become the leading player in the occasion wear segment for kids’ wear operating in the affordable luxury / bridge to luxury price segment. What specifications should a brand keep in mind while designing for kids' apparel and accessories? As a brand, Kidology focuses on providing something which kids would feel special in! We pay attention to detail and provide products which are not only stylish but also comfortable, have a good fit and offer other child friendly elements such as non-abrasive fabrics and adjustable features. We also provide customized and one of a kind outfits for special occasions and theme parties. What are your marketing strategies for Kidology and is social media a part of those strategies? For Kidology – product is king! That’s why the best marketing tool for us has been happy customers…which leads to word of mouth awareness and has often led to some great press coverage in the past and continues to do so. Kidology also believes in making itself visible through quintessential kids fashion related avenues for example we were pioneer members of India Kids Fashion Week, and have since been a regular participant. We also have been and would continue to participate in exhibits at a both national and international level. Social media is a very integral part of marketing today and therefore Kidology tries to be active on Facebook, Instagram, and Twitter. We also continually keep our clients abreast of happenings on our front through regular newsletters and mailers. We feel that hosting events and press meets from time to time is also something that keeps the buzz alive. What has been the growth rate and average ticket size? Our average ticket size is Rs 5,000 and product range goes from Rs 500 for accessories to Rs 25,000 for an elaborate or custom piece. Kidology started as an offline brand and bulk of the initial self-funded investment was focused on expanding the offline distribution. In the past year we took some strategic business decisions and started taking the steps to make the business profitable and cash flow positive without sacrificing its growth. Although the offline business of Kidology is now self-sustaining, the real growth is expected from our online business – both through our own website – www.kidology.in and through other online fulfilment center partners and fashion portals. Kidology expects to double its revenue year on year for the next 5-7 years. What is the nature of agreement between you and the designers? Our in-house collection constitutes the biggest part of the label and is designed by our in-house design team. The other designers mentioned earlier design exclusively for Kidology and work in the capacity of design partners. They design collections in collaboration with our in-house design team and Kidology handles the production and distribution under our joint label. Would you want to join hands with any of the top animation characters maybe Frozen for your apparel range? Theme parties are a big trend these days and we often get requests to design custom theme outfits for birthday parties. As a brand our design team’s creativity goes a lot beyond cartoon characters, however there is so much we can imagine to do if we were to come together with a known fairytale theme like apparel, accessories, toys and even other peripheral merchandise.